Can't forget all the groovy deadhead chicks. Classic 13 point lightning bolt, white and purple on a pink baseball style hat, just for the girls. 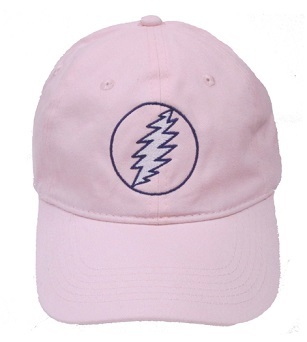 Its a 100% Cotton twill cap with an adjustable strap. One size fits most. Officially licensed Grateful Dead merchandise.